as much as winter seems to be crawwwwling along, i can hardly believe february is almost over. life with kids is often like that don’t you think? here’s a little glimpse into what we’ve been up to lately. F O O D is the new 4-letter word around our house, for a couple different reasons. 1. we’ve been eating lots more of the whole kind and as you can see from tilly’s meal plan on the chalkboard, there is some protesting. more on my approach (don’t worry, it’s totally laid-back) and some resources soon. 2. pop-tart has graduated to baby food which has been fun and entertaining for the entire family. the kids love how messy she gets. W O R K feels more like pleasure these days as i ‘ve been busy with lots of fun projects! i’ve also compiled a list of my services HERE and would love and appreciate if you take a look and forward to any friends you think might be interested in working with me :). left to right, invites and extras for an indie rock 5th birthday party for stacy’s son, jack. part of a branding project i recently finished. can’t wait to share the full project reveal and introduce you to the client! 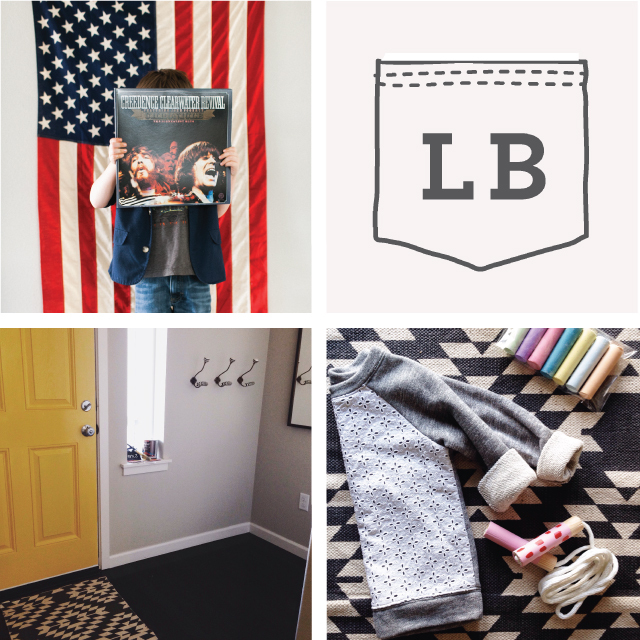 just a couple more diys before our entryway refresh is complete (ya!). the interior yellow door has been a big hit… you can see in process details over on emily’s blog here and here. and last but not least is a peek at some birthday swag for tilly’s friend… the jump ropes have been a big hit because the kids can paint their own wood handles so i will share a diy next week. it makes for a very fun spring-ish project! what do you do when your early birds are spending the night at their grandparent’s house and you find yourself hanging out in bed on a sunday morning all by yourself? go on a pinning spree of course! at least that’s what i did. check out all my new finds here. there are some really cute one. hope your week is off to a good start friends! 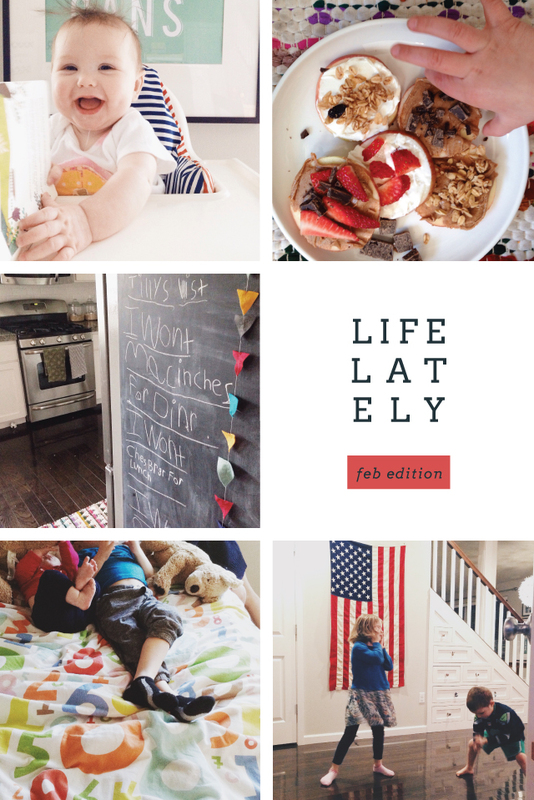 5 Responses to LIFE LATELY (in february). May I ask where you got your American flag? Love it all!